Flower arrangements for all occasions! 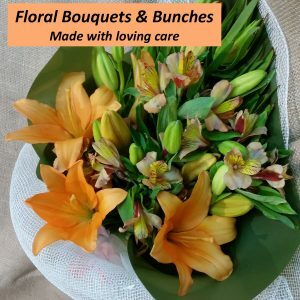 Orchids of Tewantin are a leading florist in the Noosa area which maintains a shop front business that provides locals with a range of fresh flowers in modern elegant designs created by the experienced and professionally qualified hands of the owner Karen Mallon. These items can be collected from our business at 100 Poinciana Ave, Tewantin or we can arrange for delivery at a small additional cost. We run a successful online business for delivery to anywhere in the world. Locally visit our shopping cart to see our popular designs. For more details go here. For delivery throughout Australia or world wide we can assist. Phone or come to our shop and we can use our affiliate organisations, Interflora, Petals or The Flower Company’s. In addition we maintain a range of gifts, cards, artificial flowers, plants and more to purchase outright or to complement your floral display. 1. Orchids of Tewantin are the complete florist supplying a large range in season fresh flowers. Many of our fresh flowers are grown locally and therefore ideally suit local conditions lasting longer. 2. 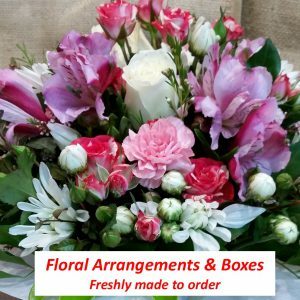 To maintain a larger range of products our florist must source flowers from a wider supply out of Brisbane or interstate. Many of these products if need be are stored in our cool room. 3. 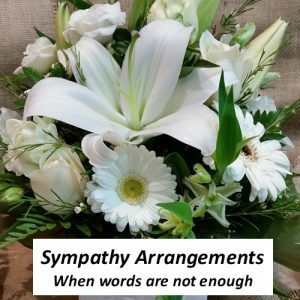 Floral arrangements can be collected from our shop or delivered to where you require at a small fee. 4. Orchids of Tewantin operate an online business for ordering and delivery so you purchase your requirement from the convenience of your home, office or if your are on the move. 5. Our affiliates Interflora, Petals or The Flower Company will arrange delivery Australia or anywhere world wide. 6. 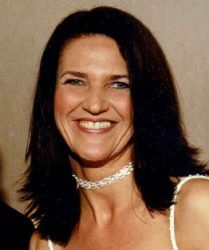 Karen has 15 years of knowledge and experience in owning and running her own floristry business. 7. Karen’s 2 years of full time training and professional qualifications in the UK is far more than the Australian training of 6 months. So she really understands flowers and floristry. 8. 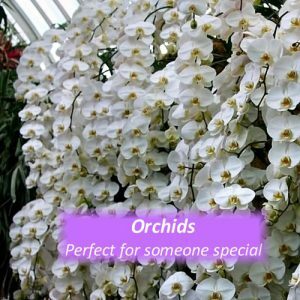 As an owner and operator of Orchids of Tewantin we will provide you with more real personal attention to satisfy your individual needs. Every order we receive is created fresh! 9. We care about our customers and will go the extra mile to look after you. 10. People who own their own business are passionate in furnishing you with better value for money as they want you as a returning customer. 11. We offer competitive pricing and our costs are modest as we do not have the overheads of larger organisations. 12. 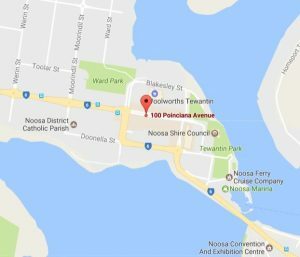 We have developed an enviable reputation of a quality business and we are one of the few florists left with a shop front in the Noosa area. 13. We like people! Many online businesses hide behind the anonymity of not being seen or in some cases being spoken to. 14. 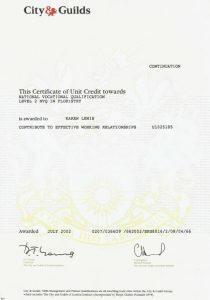 We have built our business over 7 years on the credibility and the authority people trust. 100 Poinciana Ave. Tewantin 4565 Qld. Gallery choice view – Click image of applicable gallery. Karen a florist of 15+ years is the owner and operator of Orchids of Tewantin. We can arrange for delivery worldwide with our affiliates Interflora, Petals and The Flower Company.